In "The Accountant" from 2016, Ben Affleck plays an accountant who is a math savant. He is hired to uncook the books for a new client as the Treasury Department closes in on his activities. 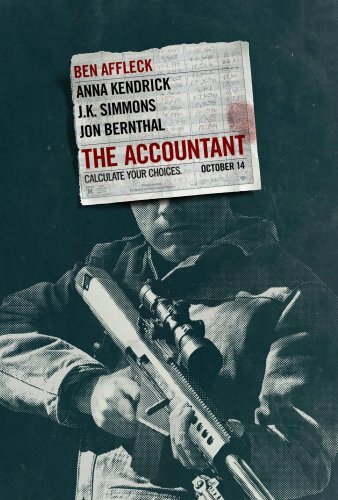 Affleck learnt Silat for his role as Christian Wolff the accountant. I was a little disappointed in the fight scenes, although I was entertained by the movie. Affleck has said Wolff is one of 5 favorite characters he has portrayed to date. The best fight scene IMO was Affleck's use of his belt to defend himself against Tait Fletcher's knife. Fletcher played Thug #1 and he deployed his knife in his fight against Affleck. Ben took off his belt to use vs the knife. Apologies if the page loads slowly, but I didn't want to split up the GIFs and make separate posts. Enjoy the video as well as 16 GIFs! Here's hoping there will be a sequel!